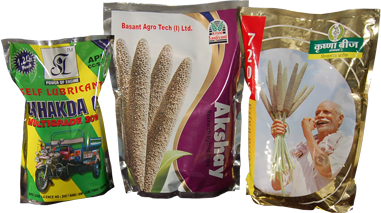 Packaging Solution to some of the best known brands and leaders in the FMCG, Food Grains, Salt, Agro Products, Pharmaceuticals, Retail Apparels and Courier Sector. Incorporated in the year 1994, as an SSI unit, to manufacture multilayer films, Kamakshi Flexiprints Pvt. 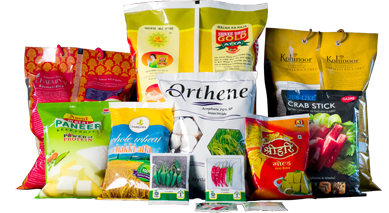 Ltd. has today emerged as a leader in manufacturing quality flexible packaging. 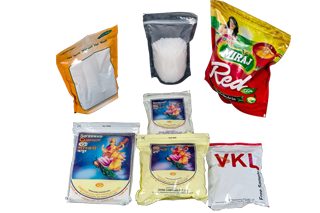 An ISO 9001 certified company with D & B credit rating, Kamakshi is a complete solution provider, partnering with customers in developing high quality, cost-effective and innovative packaging solutions. 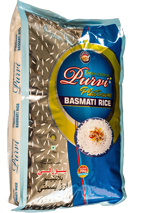 Product: Flour, Maida, Suji, Rawa.